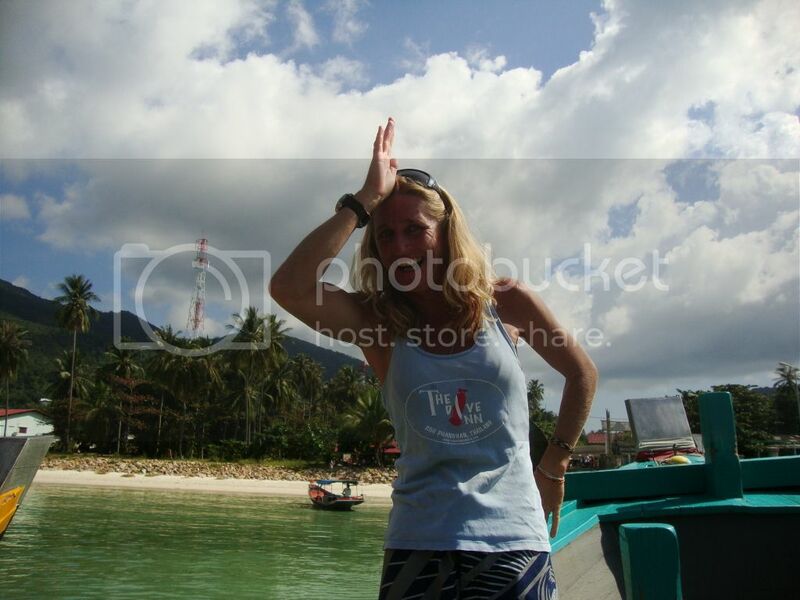 Sail Rock Diving: Bull Sharks Whale Sharks and Fish too! Ever since I read an article about diving Sail Rock on the Alex and Wanderland blog, I’ve been itching to go diving at this popular dive site in the Gulf of Thailand. It’s famed to be the best diving in Thailand’s East Coast and I have to agree. Perching up in Koh Samui to work on establishing my location independent business Travel Fashion Girl, I realized that I haven’t maximized my time in one of my favorite countries in the world. With only one month left in my trip, I decided to act on my new travel goal – to rekindle my love of travel and participate in the activities I love – including diving. 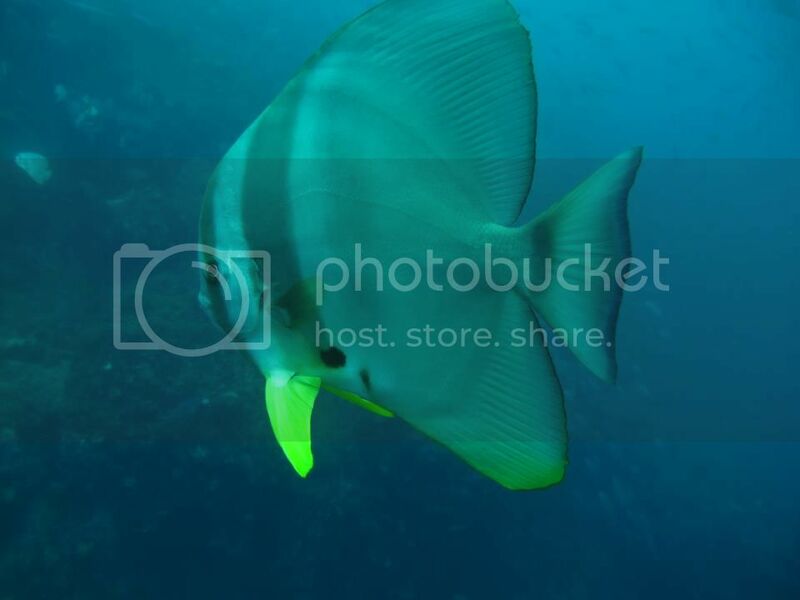 I set up an exciting 2-dive day trip to Sail Rock with Harry and one of our new friends with The Dive Inn dive shop located in Koh Phangan’s northern fishing village, Chaloklum. The owner Alan was a pleasure to work with from the beginning. He answered my emails promptly and went out of his way to ensure I went diving on the day with the best possible weather conditions – and the weather couldn’t have been more perfect! The day started at 7am when the Dive Inn’s complimentary songthaw picked us up from our guest house on the West Coast. Upon arrival at the shop we were given brand new diving gear for the day’s adventures! The shop is conveniently located across from the beach and the pier for departure. It was really cool because the boat was large and was shared by a variety of the different dive shops in the area. It was nice to see a sense of camaraderie and not competition amongst the staff. The dive day included breakfast and lunch (which I skipped to avoid sea sickness) consisting of food, coffee, tea, and soft drinks. Harry liked the range of Thai food for lunch and since he’s a foodie, I’ll take his word for it! After fear of being hit with the monsoon weather, we were graced with absolutely perfect conditions. 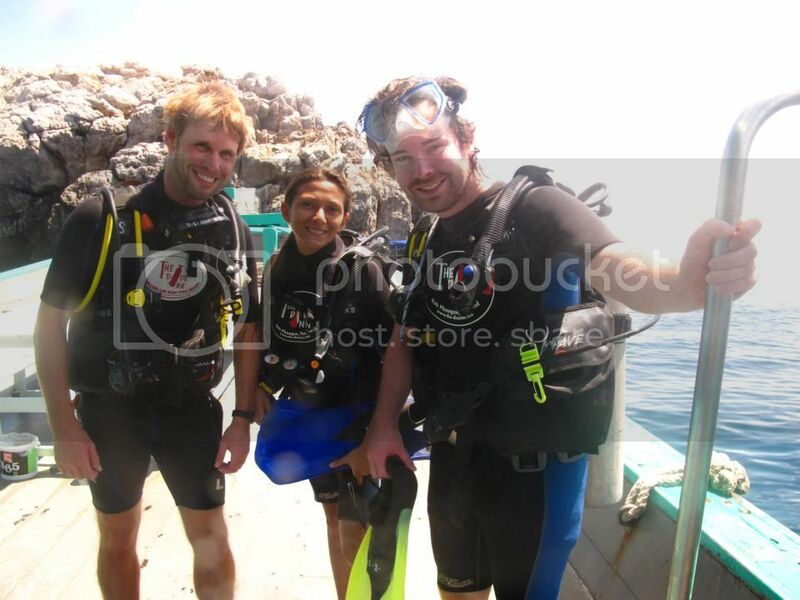 From the stunning sun to the calm sea; diving conditions were perfect for what we were about to experience. Did I mention the bull sharks? Umm yeah. I was about to go diving with the world’s most deadly shark (after the great white). But there aren’t any cages here – it’s just them and me with no metal to act as protection. Since I’m writing this I guess I’ve lived to tell the tale. This sure wasn’t your average dive trip! While the boys were amped up for the thrill of shark diving, I was trying to push away my feelings of fear. Our Dive master Wendy reassured me by acting as my dive buddy for the day, practically holding my hand the entire way. If it hadn’t been for her, I don’t think I could have enjoyed the experience as much as I did. Luckily, she was also acting as our photographer so we were able to focus on our diving and not worry about capturing the perfect picture. Instead of just renting you a camera, The Dive Inn also provides you with a photographer! She customized our two dives so that we would spend half the time searching for sharks (to please the boys) and the other half focusing on the sea life and coral of beautiful Sail Rock. While the visibility was about 10 to 12 meters and not 100% clear, the abundance of sea life makes Sail Rock a shining star in this ocean. As soon as we got into the water, we instantly saw large schools of fish. Not your typical tropical fish, Sail Rock has a wide variety ranging from Pickhandle Barracuda to massive Groupers and swirling schools of Jack Fish. I even saw a school of one of my favorite fish, the Tera Bat Fish – everywhere else I’ve only seen them swimming alone. I can honestly compare the schools of fish to Sipidan diving. 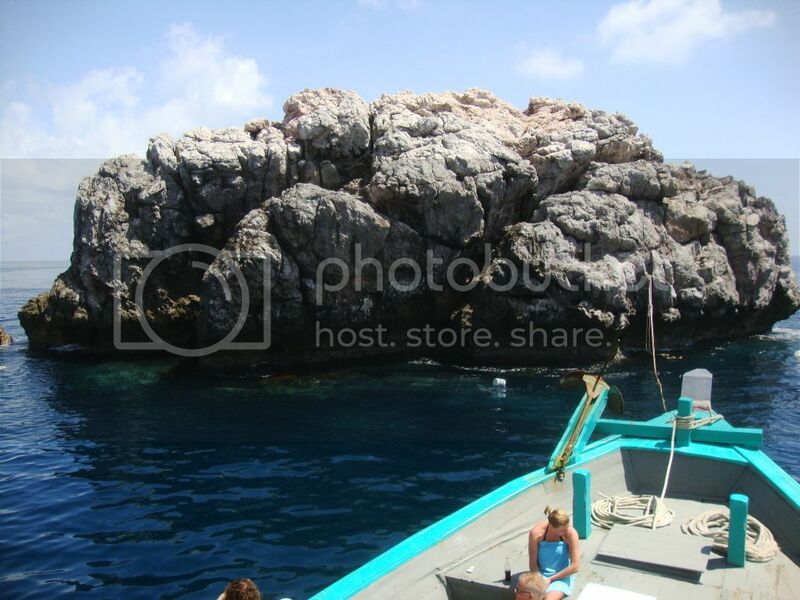 While diving Utila had quality over quantity, Sail Rock has both. As I’m feeling relaxed and mesmerized by the beautiful fish, I see a large grey shadow darting quickly below me. I squeeze Wendy’ hand. It’s a bull shark. I don’t have a chance to process this visual before we see the rest of the divers hovering in one location – hovering over a group of giant bull sharks. This was just 10 minutes into the first dive and we’ve already seen not one but four adult bulls. As I breathe deeply into my regulator, and try not to panic. Wendy shakes me out of my trance and points straight ahead, I brace myself for the worse when I see the grand shape forming. It’s a whale shark!!! I start cheering with excitement and happiness. 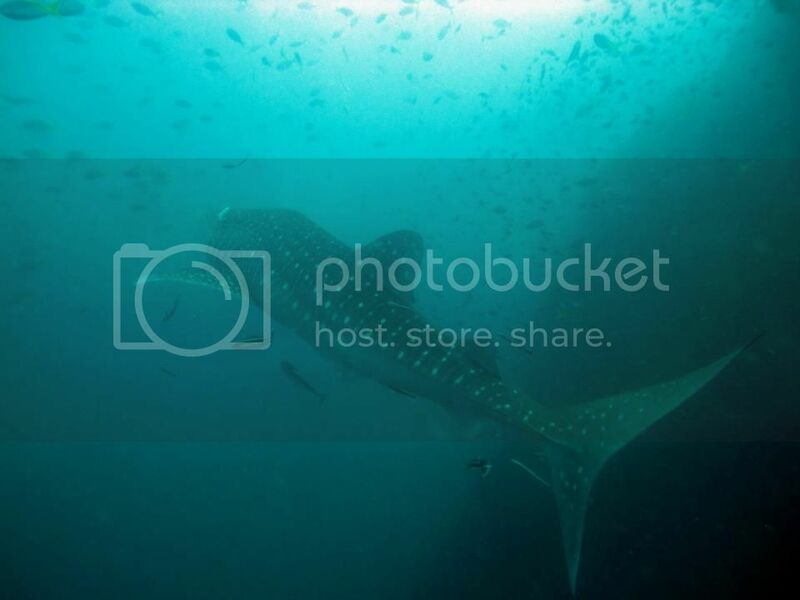 Whale shark diving is something we’ve been wanting to do for ages. Seeing a whale shark is a highlight of any diver’s career. People dive hundreds even thousands of times without ever seeing one. Here I was dangling over bull sharks witnessing the exquisite and gentle creature gliding along less than 10 meters in front of me. I exit the water after the 45 minutes dive in absolute shock taking in both the beauty and the terror of the first dive. However, it wasn’t until the second dive that I experienced fear to the point of tears. 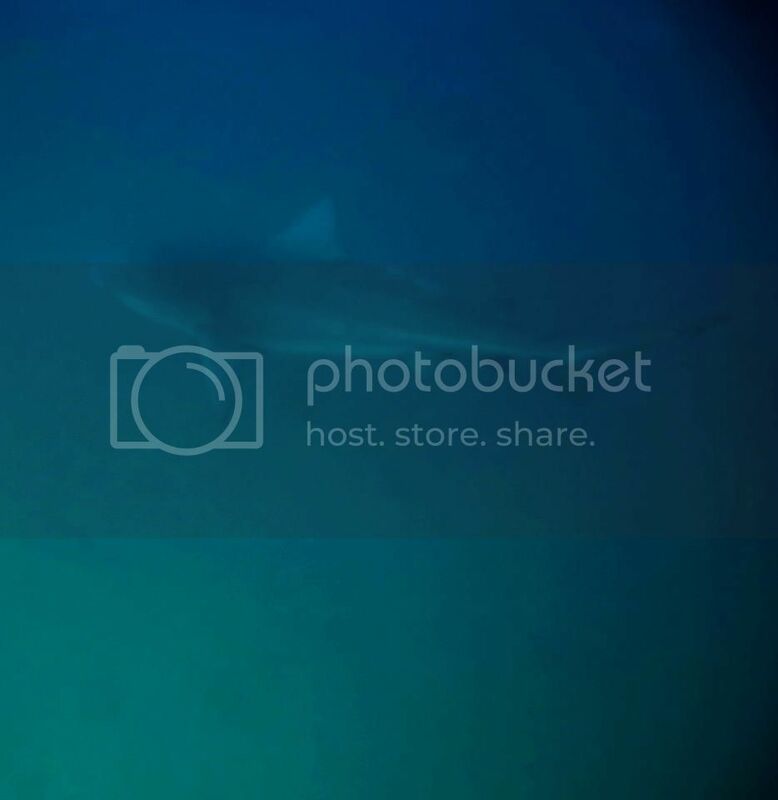 Check out my next two posts later this week for my Bull Shark experience and a beautiful pictorial of the underwater life at Sail Rock. I really wanted to thank Wendy and the Dive Inn team for making my Sail Rock dive experience so enjoyable despite my fear of the sharks. From beginning to end, Wendy never left my side despite the fact that she was probably more at risk of losing her arm to me than to the sharks! The experience was daunting and exhilarating all at once. If it hadn’t been for Wendy going above and beyond her requirements as a dive master my experience with the sharks may have been much more terrifying. For this and many other reasons I can’t recommend the team at Dive Inn more highly. Not only are they number one in Tripadvisor but they deserve every single of the five stars they boast on the website. I wasn’t paid for this review but as a guest of the Dive Inn, I can guarantee the 140+ trip advisor reviews along with mine are well deserved and authentic. 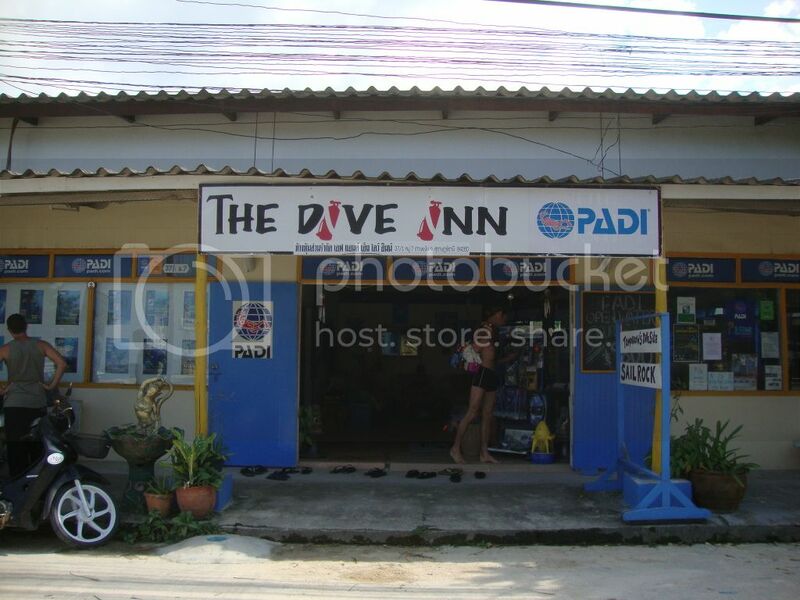 If you’re going to dive Sail Rock, do it from Koh Phangan and check out The Dive Inn. Happy diving! What’s on your diving bucket list?